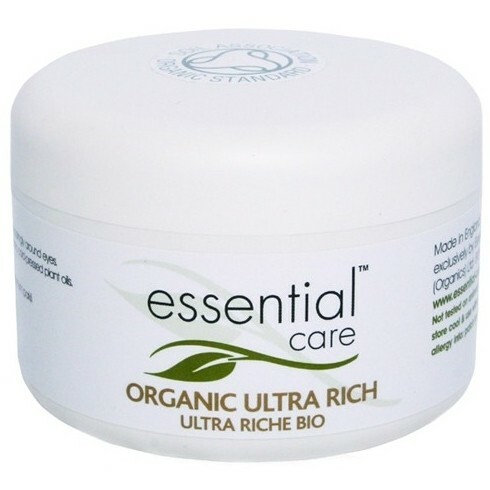 Essential Care Ultra Rich was formulated originally as an emollient for eczema and psoriasis and is absorbed deep into the skin layers to rehydrate and support the protective skin barrier without blocking the pores as petroleum oils tend to do. St. John's Wort (hypericum) is also added at an active concentration proven to reduce and fight infection on the skin. Provides excellent anti-bacterial and healing help for skin. Apply to area as often as required. Suitable for applying sparingly around the eyes. 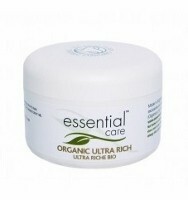 Can be used alone or over Essential Care Repair Lotion. Suitable for use on face & body. Olea europaea (extra virgin olive) oil*, cocos nucifera (coconut) oil*, butryospermum parkii (shea butter)*, cera flava (beeswax)*, hypericum perforatum (st john's wort). *Organically grown/produced (99.8%, remainder is herbal extract not available in organic quality).